In this hour more than our feelings will be hurt in this battle against unrighteousness. The true believers are going to have to stand in the face of danger just as our Messiah had to, the prophet’s of old, the multitude of unnamed, as well as named Martyr’s in our own not so distant past. We too will have to decide whether or not we are going to enter the battle, suffer with our Lord, or cower under pressure as Peter did. What we have counted as persecution, name calling, slandering, accusing, will pale in comparison to what it will cost to stand in this hour. Rachel of Columbine High School understood that cost when she said she would not renounce Christ as her Savior. How many of us would have the same response? How many of us know in our hearts we would betray Yehoshua to save ourselves? How many of us in that moment of temptation would in our first reaction, and second chance back down from embracing our Bridegroom? Oh yes, there will be blood. Will you choose to die once or twice? Friends we do not want to be apart of that second death that is surely coming, and for many it is right at the door. Like Peter, many of us would easily answer I would never deny you Lord, and we would even tell the Lord that, but the question is when you are put to the test, how would you fair? It’s easier to say what you will and won’t do when the chopping block isn’t behind the door you are assigned to. The Apostle Paul had some great advice for the mental preparation we will need to have for the coming reality. The more we identify with Messiah the less compelled we will be to try to save our own lives. In this hour you will be tested, but thankfully we have the textbook with all the right answers, and if we follow the script then all will be well. Because in the pages of reality our Lord did have victory over death but not by circumventing it but passing through it. That’s right the hero in this story dies, but He is not dead. He is not raised from the dead because then that would make him subject to death again, but was resurrected from the dead no longer subject to death, in fact taking the keys of death and hell. Let that sink into your brain for just a moment, death has no victory over us, because the hero in the real world has victory over death. So Beloved, why is your heart troubled, and why are you afraid? Why isn’t the peace of Yah resting in you, when you know the end of the book. I’ll tell you why. Because we are not living dead. What will you esteem more in your life? Everyday you prepare for death in how you live, how you love, and how you walk. Is your heart failing you for fear of the things that are to come or are you praising Yah because you know that His redemption draws near? Are you boldly preaching the Gospel to every creature, and some as though snatching them out the fire knowing that your obedience to Christ command can be the difference for someone between eternity with Yah or eternity in hell? (Jud 1:23) If not ask yourself the question, why am I not resisting unto blood? What doth hinder me? Do I still count my life as dear to me, or reckon myself as dead in Christ? The boldness of Apostle Paul, or even John the Baptist to speak the truth in the face of threat of harm to oneself comes only when you have surrendered to the Holy Spirit. Died to your own selfish desires and embraced the will of the Almighty. There is an eternal destination for everyone and if Messiah, Yehoshua is not on the throne of our heart’s then someone else is. We are preparing for eternity every day. Someone is King in your heart, and if that King isn’t the King of Kings then that King whoever he maybe will be dethroned, because every knee will bow and every tongue will confess when the King of Glory appears. And at that time, there will be blood, even to the bridle. This entry was posted in holiness, Purposeful living, Uncategorized and tagged bible lesson, fulfilling great commission, Inspirational, spiritual, spiritual enrichment, spiritual warfare, Wilderness Lessons on November 21, 2015 by NLLEx. What Yah expect of Sons? (Gal 3:29) And if ye be Christ’s, then are ye Abraham’s seed, and heirs according to the promise. This very picture depicts the role that would change our lives forever as we have read with our eyes, and heard with our ears the wonderful works of the Seed of Abraham, Messiah Yahushah, in whom we are apart of. The word for son is beth () and nun (), the first character is the picture of a house and means house, in, as what is important is what exist inside of a house, and the second character is the picture of a seed sprout, and means life, seed, to continue as a family lineage continues through the seed of the man. (Gen 3:15) And I will put enmity between thee and the woman, and between thy seed and her seed; it shall bruise thy head, and thou shalt bruise his heel. Every man is the house seed of their father, its just a matter of what has been put in the seed that determines whether or not he will grow to full maturity, become that seed that will be planted back in the ground to produce much fruit, even some thirty, sixty, and one hundredfold. So how do I as a son live up to the perfect plan of Yah. Well the best example of a perfect father and son relationship is that which exist between Yahushah and his father God. He said he only do those things which please him, those things which he has seen with his father. Therefore he was a perfect imitator in word and deed of his father. If we don’t want our son’s to be like us then we need to ask ourselves as Fathers are we the strength of our home? If our actions are not lining up with His word then we need to know if we are bringing about the curse of Mal. 4:6 upon our children? The question is, is it a compliment or an insult when someone says you are like your father? There are many reasons this could be but two that stand out to me, if the Father of your home wasn’t the strength of it, and then the other is because he did do it, but you were a rebellious son that didn’t appreciate your father. The only man on earth that is allowed to be called the Father of our Faith is Abraham, and to understand what makes that important as father’s to understand and as a son to understand is why God was willing to tell him things that you don’t hear him saying about a whole lot of other people in scripture. Abraham, was made privy of a major judgment Yah was doing upon the earth, and the reason for this information being provided to him was given in scripture. If you’re not hearing from Yah as a father it is possibly because you are not commanding your children and your household after Yah. Privileged information is provided to the privileged. When Fathers hearts are turned to the children then children will reciprocate and the end of that is a healthy seed being planted into a home that will produce Godly fruit unto the glory of our King. This entry was posted in Uncategorized on November 7, 2015 by NLLEx. What does Yah expect of Mother’s? The full revelation of this expectation has yet to be experienced by me, but I long to experience it in its fullness. To fulfill this picture would be the completion for me of a journey of learning how to love that which Yah has entrusted into my care. Nevertheless, until such time shall come I am thankful for this time to explore and practice this role as a rehearsal. 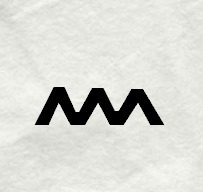 The Mother in hebrew is (ma) that is to say (AM) in English. The first character ( ) is the picture of an ox and means strength. The second character ( ) is the picture of waves which carries the meaning for liquid (water, blood, etc…) but also by extension carries the meaning of waves as in (light, radio, sound) in which Yehoshua compares words to water (Eph. 5:26). Another interesting parallel to water is that it is the most covalent bond for making things stick together and thus produces the most powerful picture for the function of a mother. The most beautiful picture of understanding the role of a mother is when like glue she brings things together. In this case we are focusing on family. The mother is like the hub of the house there are few places that people gather in groups in a home, and that central place of gathering in any home that functions properly is the dinner table. The kitchen is like the heart of the home, and thus this is the place where the entire family has full access and has the opportunity to enjoy one another’s company along with a meal made with love. While the bedroom is reserved for use by at the most two with a temporary extension to newborn’s, the kitchen is the place where memories are made. The absence of lively conversations around the oval or rectangular table will echo its silence for generations to come. Laughter, learning, and bonding takes place here with the ability to carry through to the living room, but starts in this place. In most homes today the living room has become a place of family rest and recreation where games are played and television sets are the source of amusement and bonding, which all the more makes the kitchen an important place of fellowship and learning hospitality. The law of the mother is like the nourishment that comes from the umbilical chord that sustains the life of a baby. The remembering of her words are like the crown that protects the seed, because the law she provides is like the placing of a crown upon the head of a child. Their confidence to lead, their ability to understand a loving God who will never leave nor forsake them will come from understanding a mother’s love for them. If that crown of grace that only she can provide to her seed is not given it is like the curse of the serpent, the stepping on the neck, and the bruising of the heel. Just before a woman transitions to motherhood a gush of water comes forth before the baby comes out. To the degree that we are prepared for that strong water, that is the degree that we will either experience the joy’s of conception or the birthing pains of unpreparedness. During the time that child is being prepared in us, we must prepare from without. Make room not only in our bodies, but in our beings to enlarge our capacity to love someone else more than ourselves and our own desires. To put someone else first and make space in our lives for that new life. To the degree that we have done that we will either encourage or hinder the process of growth for our little ones and that strong water will be chaos instead of deliverance. It will be the flooding waters on the head of Pharaoh rather than the parting seas of protection for the children of Israel. This entry was posted in Purposeful living, Righteous living and tagged Ancient Hebrew, article, bible lesson, God's Purpose, mothers on November 2, 2015 by NLLEx.